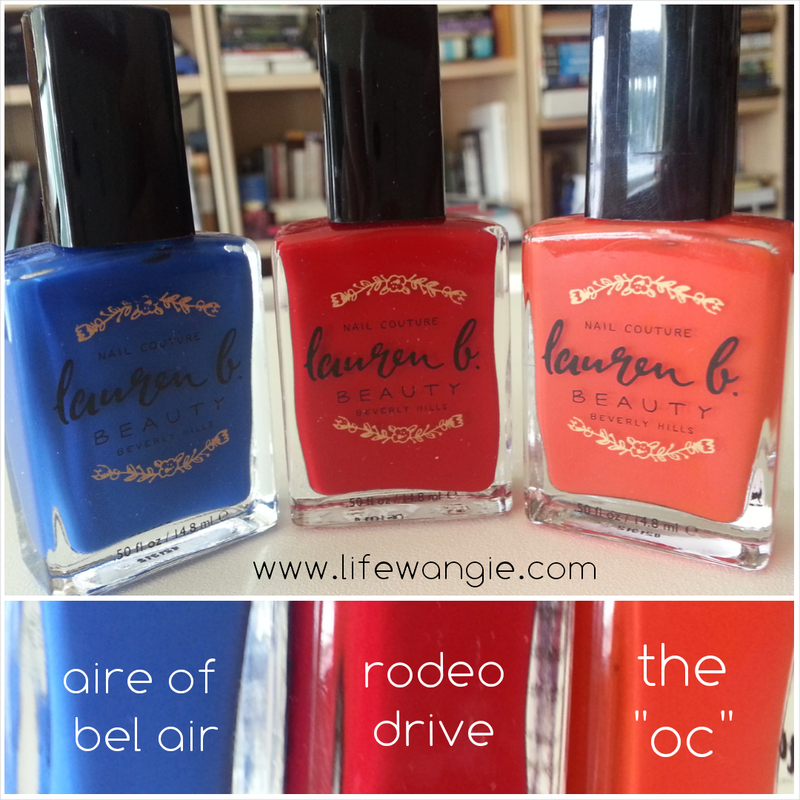 I was really excited that Lauren B Beauty sent me some nail polish to review! It's a newer brand that is getting a lot of buzz this year. They are 5-free and vegan-friendly polishes and the colors are gorgeous! I am a huge fan of glossy cremes, and while I'm not vegetarian, I am learning more about vegan and cruelty-free products this year and thinking it's always good to avoid animal cruelty when possible. I was super excited because these colors really complement each other and I realized as I looked them over that since they were nice opaque cremes, they might work well for stamping. So I decided to give it a try! First, I did my nails in The "OC." I did two coats, let it dry a few minutes, and took this photo. This polish goes on like a dream! According to their website, "the brush is packed with twice the standard amount of bristles" and that helps the polish go one more smoothly. I am not sure how to judge the number of bristles, but it definitely went on very smooth. So- does it stamp? You can buy special stamping polish, but I like to just use regular cremes. Any polish that is opaque in one coat can work. I tested all three colors on paper before starting this manicure, and they all three worked! 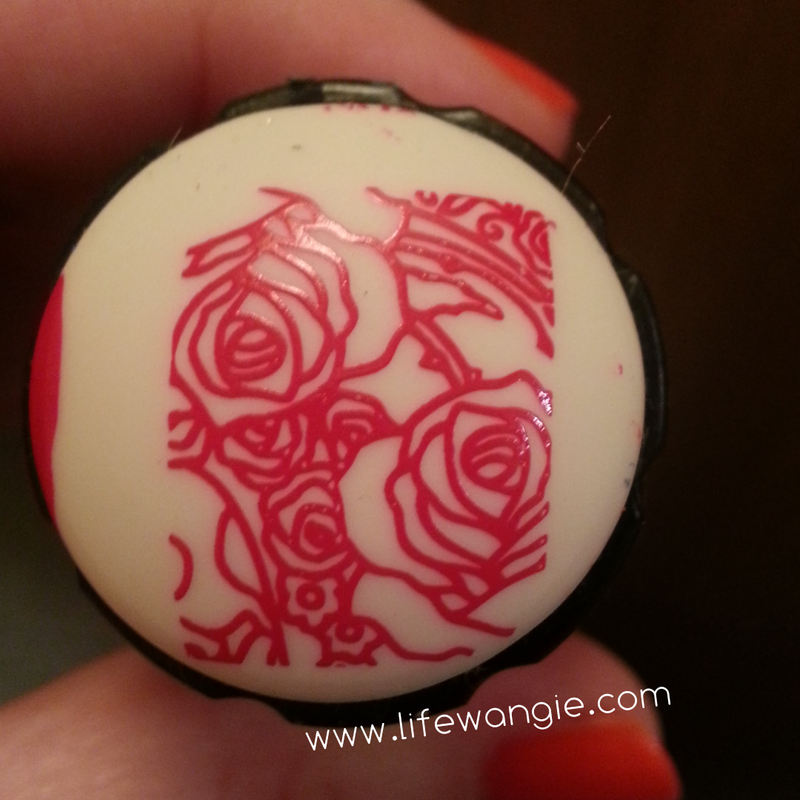 So I decided to stamp a rose pattern from Dashica Infinity plate 27 with Rodeo Drive. Look at how crisp this is! The Infinity plates stamp like a dream as well. They are quickly becoming my favorites, and I always get better results with these than other plates. But you know how sometimes you get a nice crisp image on your stamp a couple of times and then things start to go downhill and you have to stop to clean your plate, your stamper, mess around, figure things out? That did not happen at all. I stamped all ten fingers without having to redo the stamp once. I did clean the plate halfway through, but that's less than one normally has to. LOVE these polishes for stamping. I have no idea if Lauren B meant to create the perfect vegan stamping polish, but if she did, she accomplished her goal. I used Aire of Bel Air to add the little bird. this plate has a lot of potential to do something kind of Mexican or Day of the Dead and since Lauren B is a California-based line, that's kind of apropos. 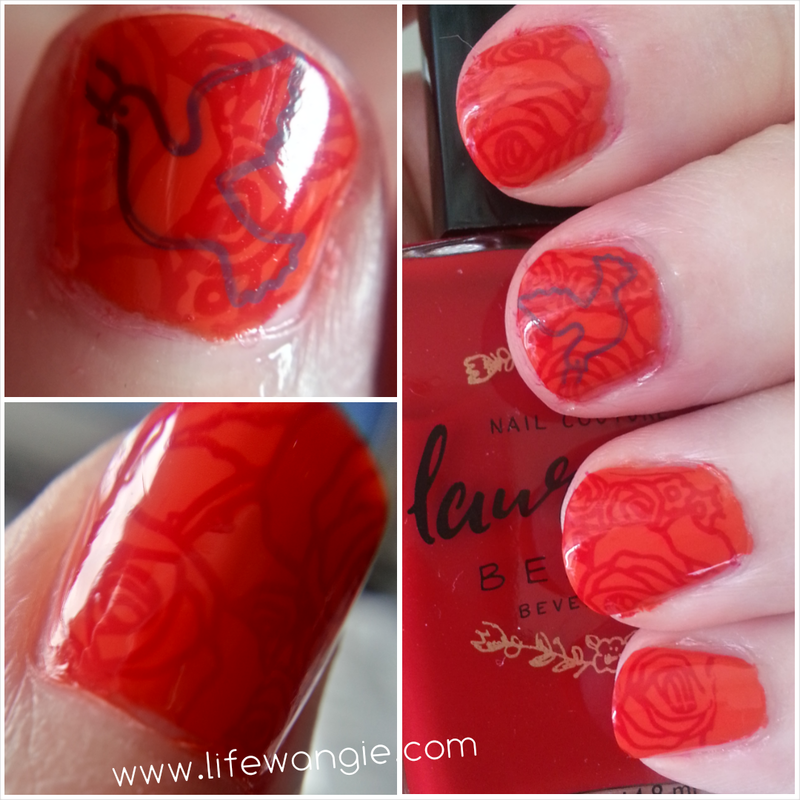 Please restrain me from purchasing all the Lauren B's I can find to do more amazing stamping!